Liking the recent changes you’ve made mate!! This is a very informative overview, and answers many questions. I found it particularly interesting that you answered the question of whether it is possible today to speak the language of Jesus, and it appears that one can, almost. Thank you. Thank you for your comment, Julianne. You are right. Of course it is impossible to speak in exactly the same manner of someone who lived two millennia ago, especially when we only have a few phrases of what might be his speech, and that is transmitted via a different script. Grammatically, is the Old Testament Aramaic similar to the grammar found in the New Testament Peshitta? Does studying O.T. 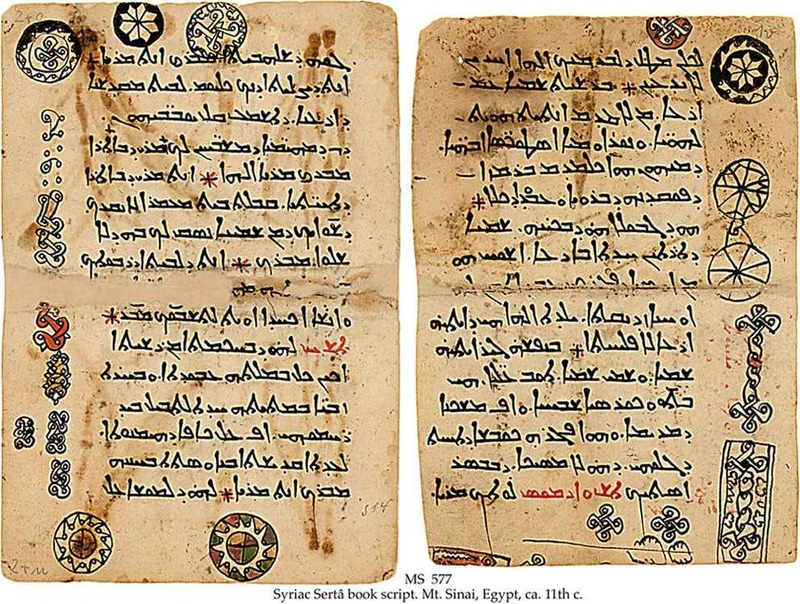 Aramaic help a student know N. T. Syriac? It is tempting to give yes/no answers to these questions, but that wouldn’t be all that enlightening. Seeing as the original Aramaic of the Bible and the Syriac of the Peshitta are varieties of the same language, they have a lot in common, and particularly so when it comes to their grammar. Though there are lots of little grammatical differences. Learning one variety helps with the learning of another variety. 6) The Ma’loula Aramaic spoken in Bakh’a and Jub’adin is also spoken by some Muslims. I’ve looked up quite a few Biblical names, such as Jehu, Jehoiakim, Jehoiachin, et al, which are theophanic names that start with “Je-” or “Jeho-“, and other theophanic names such as Isaiah, Jeremiah, Zechariah, et al, which all end with the “-ah”. So I guess I’m asking, with all the Biblical names cluing us in to the first two syllables “Je-ho-” and all the names cluing us into the last syllable “-ah”, and the fact that names like ‘David’, ‘Bethaven’, and ‘Havilah’ all have the a “v” in them and not a “w”, why would anyone think that the “vav” is really a “waw” and that God’s name is not Jehovah (Yehovah) and instead is “Yahweh”? Yes, I work with Hebrew also. There is a problem in trying to understand the issues around the Hebrew divine name with only English texts in front of you, so, to answer your question, I shall have to explain a few issues with both the Hebrew and Latin alphabets. I’m also going to be a little circumspect about writing and pronouncing the divine name out of traditional respect for it. I simply do not like slinging it around as a common name. In the Hebrew Bible, the divine name is written with four letters of Hebrew alphabet. The 22 letters of the Hebrew alphabet are all consonants. The vowels would be provided from memory or recorded in writing by the addition of points around the letters. To blur this distinction a little, three letters not only serve as consonants but serve to mark some long vowels. These three are known by the names He, Waw and Yod. The divine name is written entirely in these dual-role letters. It is written Yod He Waw He. The consonantal value of Yod is like the y in ‘yes’; it can do duty for î or ê, but not when it stands at the beginning of a word as here. He is pronounced as the h in ‘hair’; at the end of a word it can stand for â also. Waw is also called Vav depending on how one pronounces it; in classical Hebrew it was probably like the w in ‘wine’, but modern Hebrew has it as the v in ‘vine’; it also does duty for the long vowels û and ô. So, you can transcribe the four Hebrew letters as YHWH or YHVH. The difference does not signify a difference in the Hebrew, just a different transliteration map. When a devout Jew reads scripture they replace the divine name with the Hebrew word ‘Adonay’, meaning ‘my lord’ (it is grammatically plural ‘my lords’, but this is interpreted as a plural of majesty). This is a longstanding replacement. When the Hebrew scriptures were first translated into Greek various ways of rendering the divine name were tried. The method that stuck was to use the Greek word ‘Kyrios’, meaning ‘lord’. That translation choice has stayed with us, through writing ‘Dominus’ in Latin and ‘Lord’ in English. Yet this comes from an avoidance of saying the divine name. As I said earlier, most vowels are not written, but later rabbinic scribes indicated them by writing points around the letters. This was done to help the reader make the correct pronunciation. When the reader came to the divine name, the scribes would want the reader to say ‘Adonay’ rather than say the divine name. The letters couldn’t be changed, as they’re sacred, so the vowel marks for ‘Adonay’ were written around the letters of the divine name creating an odd hybrid. At no point was anyone actually supposed to pronounce the consonants of the divine name with the vowels of ‘Adonay’, and a native Hebrew reader would find that looks and sounds odd. The Hebrew word ‘Adonay’ is also four letters long: Aleph, Dalet, Nun, Yod. Aleph represents a glottal stop and is the only way one can start a word with a vowel in Hebrew (it is not an A). The first vowel mark, written under the Aleph, is called Chattuph Patach, or Half A. It is a rushed vowel, used in certain contexts. It doesn’t occur with Yod, so it is replaced by a generic rushed vowel in the hybrid spelling, a vowel called Shewa or Sheva. This rushed vowel sounds like the A in ‘about’ or the second E in ‘helmet’. It is often transcribed with an E in Latin alphabet transcription of Hebrew. This is how a rushed A sound at the beginning of ‘Adonay’ can come to be written with an E. The two other vowels, the O and A, are long and don’t need any more explanation. Putting that all together, we could mistakenly transcribe the hybrid name as YeHoWaH or YeHoVaH. Once again, I’ll emphasize that this from a mistake of using the consonants of the divine name mixed with the vowels one is supposed to use in the replacement word. However, many non-Jewish scholars didn’t understand this hybrid nature and thought this was the divine name. In Latin, the letter Y is only used as a vowel letter in words borrowed from Greek (the French name for the letter is 《 i-grec 》). What we write as the consonant Y in ‘yes’ would be written with an I, which doubles for English Y and I sounds. The letter J is a mediaeval variant of I that came to be used for the ‘yes’ sound, as it still does in German. Likewise, U and V were orthographic variants of the same letter. In mediaeval Latin, it was often written twice when it represented the consonant at the being of ‘wine’ or ‘vine’, which became W (Germans pronounce this letter like an English V). But in English and French, we distinguished U for vowel sounds and V for consonants (Julius Caesar probably sounded more like ‘Weni, widi, wiki’). Thus, ‘Jehovah’ is how the hybrid name was written by French and English scholars, and ‘Jehowah’ by Germans. It goes to show how spellings and pronunciation have moved quite significantly over time. This meat grinder of historical spelling changes also applied to other proper names. That middle consonant in ‘David’ is a Waw or Vav in Hebrew. It probably was pronounced like ‘wine’ originally, but is now pronounced like ‘vine’. It’s not a case that one is right and another wrong: it’s just change. In Arabic, it’s Dawoud or even Dodi. The theophoric names having a bit of YHWH in them use either just three letters YHW or two YH. The pointing of rabbinic scribes gives YH the sound ‘yah’ and YHW the sounds ‘yehû’, ‘yehô’ or ‘yahû’. This might give us an inkling about how the divine name was pronounced. In English Bibles, the Ys are written Js by the same historical process given above. There’s a lot of evidence that classical Hebrew Waw/Vav was pronounced like ‘vine’ when a consonant. Other Semitic languages retained that sound, and transliteration into Greek (the Greek letter Upsilon is used to render the Waw in ‘Nineveh’). That it is mostly rendered with V in English Bibles is a more a foible of how that letter has developed and been used in Latin. For instance, we use CH to render the Hebrew letter Kaph when it is softened (it’s a K otherwise). In Hebrew it’s like the CH in ‘loch’ or ‘Bach’. Just because English mainly uses CH for the sound in ‘church’ might lead people to say ‘Jehoiachin’ with a ‘jam’ sound and a ‘church’ sound, but we know that neither were phonemes of classical Hebrew. I realise there’s a lot packed in there. I hope it helps you to see the pitfalls of understanding the spelling and pronunciation of Hebrew with only the English spellings to hand. Let me know if anything needs clarification. Thanks for replying so quickly. I actually knew everything you said already, because it’s the same response I get from everyone. And they always say stuff like what you said, such as “It probably was pronounced like ‘wine’ originally…” or “In Arabic, it’s Dawoud or even Dodi…” but this is what my problem is. How do you know it was “probably” pronounced like ‘wine’? You gave me an example from Arabic, but Arabic is not Hebrew. You also said that ‘Yehovah’ was a mistake from not understanding the vowel point substitution. I am aware of this argument, but so far no one has been able to actually prove that the true vowels would have made it ‘Yahweh/Yahveh’. I am also aware of the ‘J’ origins, and that names like Joseph (Yo-seph in Hebrew) are English-ized. Anyway my main questions are still unanswered: what actual evidence is there that the vav was originally a waw, and that ‘Ye-ho-vah’ was originally ‘Yah-weh’? This is especially intriguing when considering Isaiah 12:2 and Isaiah 26:4, that both use a contraction of God’s name immediately followed by His full name. בְּיָ֣הּ יְהוָ֔ה <– Jah Jehovah (Yah Yehovah), translated as "Yah, the LORD" in the NKJV, and "GOD the LORD" in the NASB with a footnote for "GOD" saying "Heb YAH, usually rendered LORD". I copied and pasted the Hebrew words above (my Hebrew knowledge is super basic and requires copy/paste). This, combined with the fact that theophanic names in the Bible always contain a 'Jeho (Yeho)', 'Je (Ye)', or even a 'Jo (Yo)' sound (such as 'Joshua' [contraction for 'Jehoshua'] or 'Joseph' [contraction of 'Jehoseph' <–Psalm 81:5]) at the beginning of a name, or 'ah' at the end of a name, truly makes me wonder how 'Yahweh' ever came about. I hope I was able to portray my predicament clearly. And like I said, my knowledge of Hebrew is basically nothing and I don't know anything. But the responses I get to questions like this are all the same…which would be fine if there was real proof to go along with it, but so far I have yet to receive anything other than "it probably was originally pronounced like that." I really do appreciate your time and I hope my reply was not offensive to you, as it was not meant to be. i have come across http://www.chaldean.org.uk/greek.htm which appears to give all the occurences with a commentary. Thank you for responding. I never received a notification but decided to randomly check back here. May your days be blessed.